March 31 & April 1, 2018. Friday 30 will be the free trainings. WORLD CUP event in F2B. and INTERNATIONAL event, non WORLD CUP, in F2F. 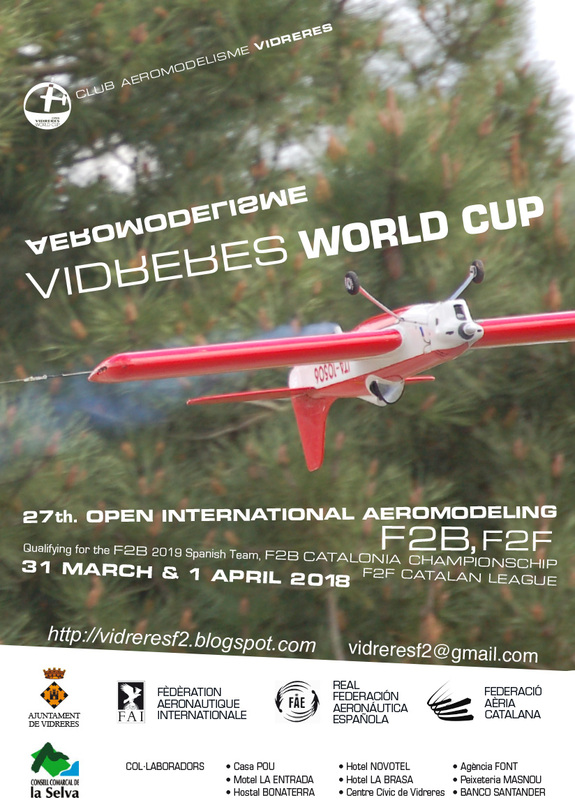 The class F2B is qualifying for the 2019 Spanish Team. and payment in the office place. 20 € for juniors and F2F. inscription about saturday evening banquet. 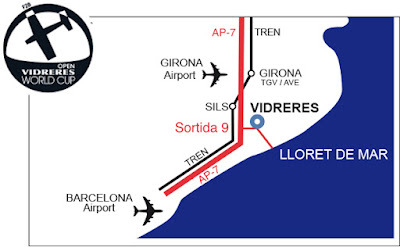 - 80 km long from N/E of Barcelona airport. Pre-Inscription: It’s preferable to make it before March17th. Inscription: you will make it before 09.30 a.m. saturday 30, and payment in the office place. in rooms for groups of competitors. Heating, shower and toilet. wiht beds, no white sheets and no towels.